Whether you call it date syrup, date honey, or silan, this Israeli ingredient has been popping up in restaurants all over North America. 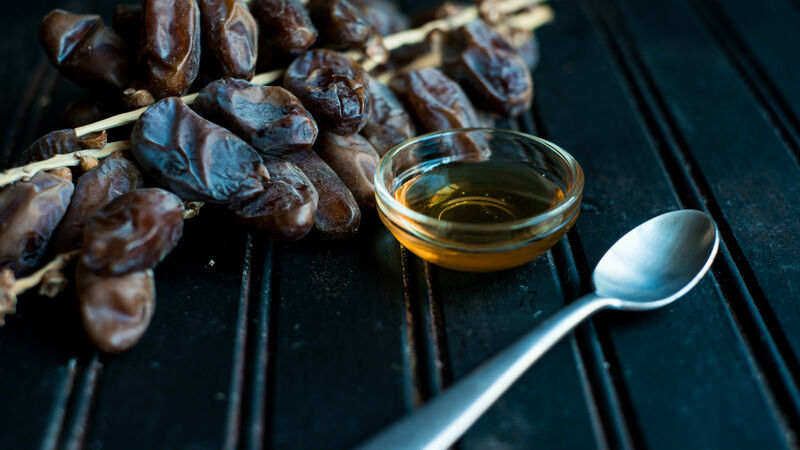 Lower on the glycemic index than either honey or maple syrup and vegan to boot, date syrup may be the next Middle Eastern staple poised for mainstream success. In fact, Soom Foods, the company that changed America’s view of tahini, recently began offering their chef clients an organic silan made from Israeli-grown dates. And chefs from Boston to Miami are responding enthusiastically. 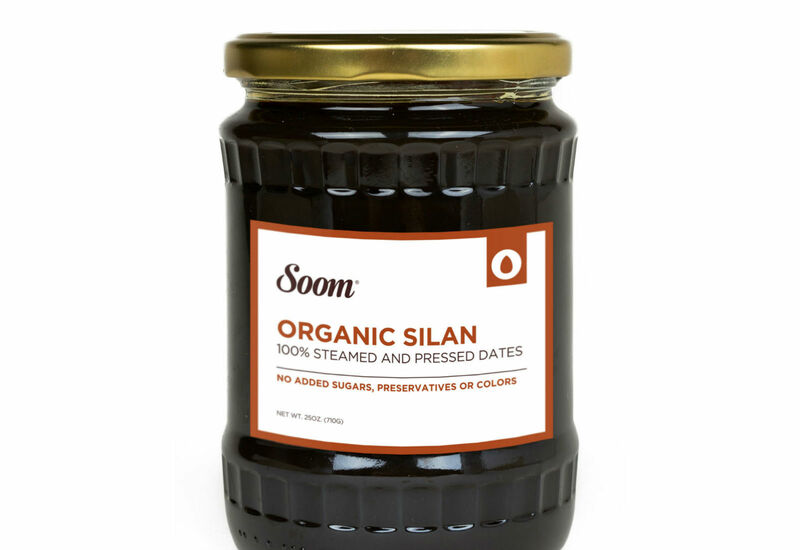 Silan is a syrup made from dates and water that have been cooked and strained. As sweeteners go, date syrup is one of the oldest, going back to Biblical times. Many scholars believe the “honey” in the phrase “the land of milk and honey” is actually date syrup because there is no evidence that Biblical people kept bees. In recent times, Iraqi Jews are credited with reviving the popularity of silan in modern-day Israel. You can use nutrient-dense silan just as you would any other natural liquid sweetener such as honey or maple syrup. “At first, silan has a sweet caramel-molasses flavor, but it also has this deep, roasted complexity that you don’t normally find in something lighter like agave or honey,” says Caitlin McMillan, chef at Philadelphia’s kosher vegan falafel stand Goldie. In Israel, you are most likely to see silan served at breakfast. Inbal Baum, founder and CEO of the culinary tour company Delicious Israel, suggests drizzling silan on a bowl of yogurt mixed with muesli or using it to sweeten tea. Other common uses for silan include as a spread for toast, a sweetener for baked goods, drizzled on top of ice cream, or an ingredient in smoothies and shakes, such as the popular tahini-banana-date shake. Today, there are many reasons chefs are embracing silan. For one, silan, unlike honey, is vegan and depending on your clientele, that distinction matters. At Plant Miami, a kosher vegan restaurant, Chef Horacio Rivadero says he uses silan “in everything.” At Goldie Falafel, the vinaigrette used to top the falafel salad is sweetened with silan. 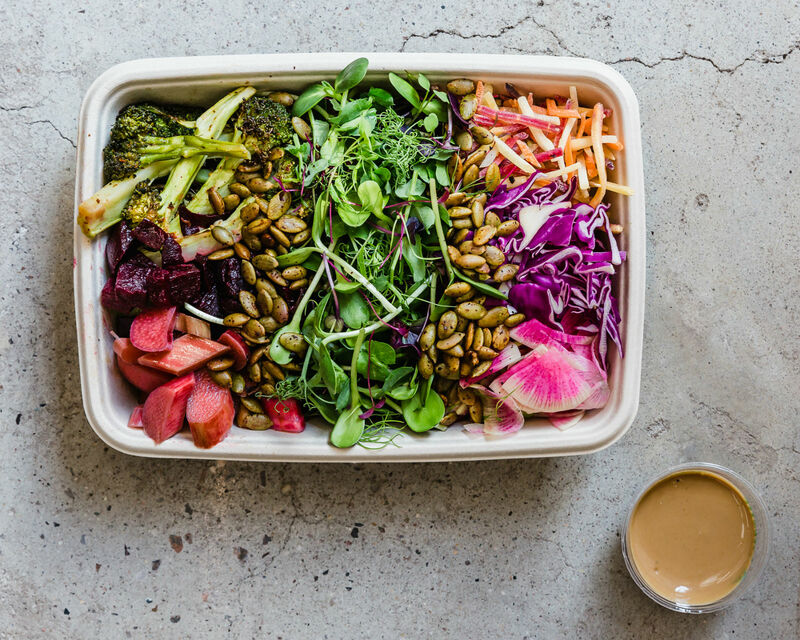 McMillan says, “Mostly everything in the salad is savory, so a hint of sweet date syrup is just the right extra touch.” Similarly, at Harvest2Order, a micro-greens salad bar that recently opened in the Williamsburg section of Brooklyn, the signature chickpea miso-tahini dressing is sweetened with silan. Co-founder Liz Vaknin, who is of Israeli-Moroccan heritage, has been cooking with date syrup her whole life. Even though her restaurant is not strictly vegan, the fact that silan is vegan was important to her — and to the kind of customers likely to frequent a micro greens salad bar in Brooklyn. Another place you might start seeing silan is in your favorite cocktail. At Portland chef Jenn Louis’s Israeli restaurant, RAY, guests love the restaurant’s date mojito. “Date syrup made the minty drink work with our menu and shows the creativity of melding a classic recipe with a unique ingredient,” says Louis. With recent news of an impeding agave shortage due to over-harvesting, some mixologists are seeking less expensive and more sustainable sweeteners for their craft cocktails and silan fits the bill perfectly. For the moment, Soom Foods’ silan is available only to its wholesale customers, but Zitelman says the company plans to roll out a retail version by the end of the year. Zitelman is relying on the company’s chef-partners to showcase the versatility of silan and hopes that sampling dishes made with silan at their favorite restaurants will inspire home cooks to add silan to their pantries as what happened with Soom tahini a few years ago. Combine all ingredients in a cocktail shaker with ice and shake until chilled. Pour into a Collins glass and top with soda water. Mix all of the ingredients except the water in a blender. Add water and blend on low, slowly going up in speed until the dressing is smooth.